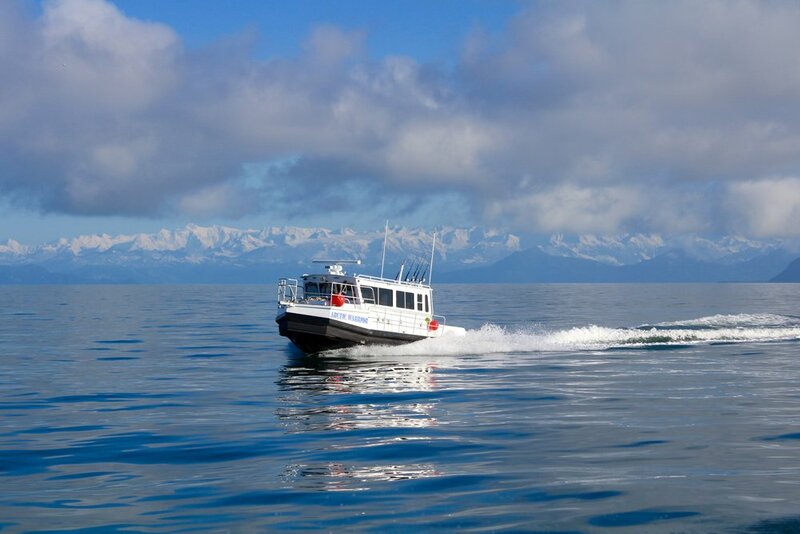 The Arctic Warrior is a generously-sized 31' vessel powered by twin 350HP Suzuki 4 stroke outboard engines. The combination of a stable 10' 4’ beam and 37' overall length provide a very comfortable ride while quickly getting you to the fishing grounds. Oversized dinette table, air ride co-captain seat, and spacious pilot house make this boat a comfortable, first-class experience. The Arctic Warrior is equipped with all state of the art electronics and equipment. In addition to being an excellent fishing platform, the Arctic Warrior hosts numerous amenities, which will ensure comfort throughout our day and multi-day trips. The Webasto Marine Heater in the cabin ensures complete comfort for everyone. The oversized private marine head is fully equipped with electric flush toilet and sink. The galley is complete with a sink with hot and cold running water, an oversized counter top, and propane 2 burner stove for the extended trips. The V-berth is large enough to sleep 3-4 adults or stow away your gear for the duration of the trip. The craftsmanship of the Arctic Warrior was built with safety in mind while providing a luxury experience and ensures an incredibly comfortable time for your next unforgettable Alaskan adventure.